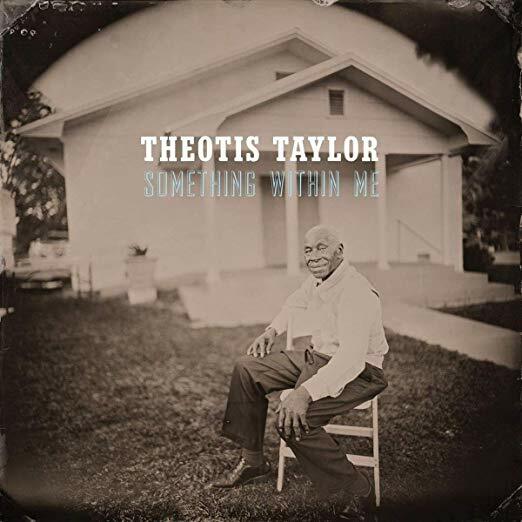 Gospel singer and pianist Theotis Taylor was born in 1920 in Fitzgerald, Georgia and grew up singing in the local Baptist church where his father was a deacon. In 1946 he joined the Georgia Harmoniers but went solo five years later, performing in churches throughout the South and cutting several singles for the Pitch label out of Savannah (he’s featured on the 2010 compilation, The Pitch/Gusman Records Story). In 1977, a representative of the American Folklife Center visited Taylor at his home in Fitzgerald to record a short interview for the South-Central Georgia Folklife Project, which also features an impromptu performance. Taylor was still in fine voice at this time, and it was just two years later that he recorded tracks for a debut album. Apparently, the project that was never commercially released and the master tapes were recently given to the Music Maker Relief Foundation and remastered for this album. Those factors aside, Taylor’s lead vocals and piano still come through front and center in the mix, and three of his songs are presented in their original form: the opening track “Appreciation,” a beautiful rendition of the spiritual “Steal Away,” and the closing slow burner “Our Father.” Additional highlights include “Stand By Me” (not the Ben E. King version) with an organ added to the mix, the bluesy “Tides of Life,” and the title track with a denser accompaniment a male bandckground vocalists. Something Within Me might be considered more of a crossover album, aimed to introduce the smooth, soulful tenor of Theotis Taylor to a more diverse modern audience, and in this respect the album succeeds. Also, it would appear that Music Maker Relief Foundation and Big Legal Mess had Taylor’s blessing on this project, which honors the career of the artist who is now in his 90s. Let’s just hope the master tapes have been preserved in their original form for posterity. This entry was posted in Gospel Music and Spirituals and tagged Big Legal Mess, Brenda Nelson-Strauss, georgia, gospel music, Music Maker Relief Foundation, Theotis Taylor, vinyl by aaamc. Bookmark the permalink.